Now at last, a reason to upgrade to Windows Vista. 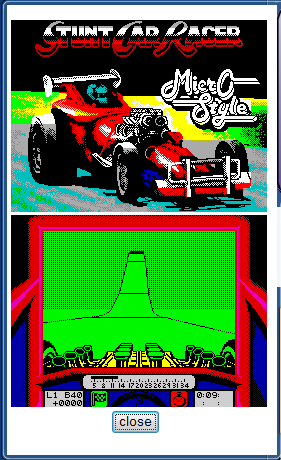 This Sidebar gadget loads a random game from the World of Spectrum archives every 15 minutes. Selecting the game title opens the details for the game in your browser. Selecting the loading screen opens the flyout, which shows the loading screen and in-game screen full size (where they're available). The Settings window allows you to choose the minimum score and number of votes.